Dickson Mungazi. The Fall of the Mantle: The Educational Policy of the Rhodesian Front Government and Conflict in Zimbabwe. New York: Peter Lang, 1993. Pp.i-xxii,259. Parpart, June. 1995. “ Zimbabwe. New York: Peter Lang, 1993. Pp.I-Xxii,259.”. 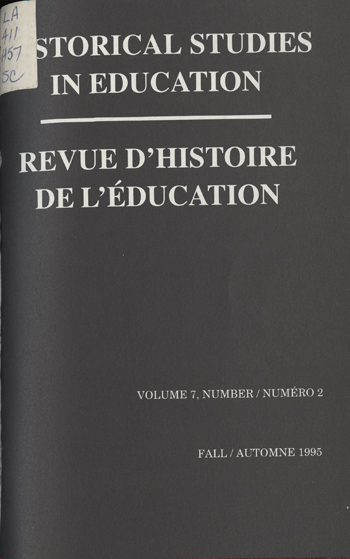 Historical Studies in Education / Revue D’histoire De L’éducation 7 (2), 278-79. https://historicalstudiesineducation.ca/index.php/edu_hse-rhe/article/view/1407.